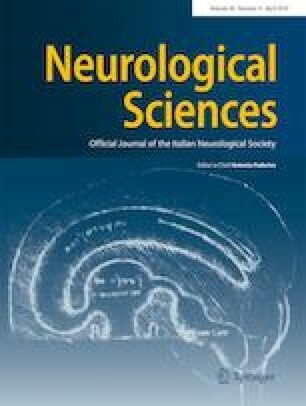 The comprehension of cluster headache (CH) has greatly benefited from the tremendous progress of the neuroimaging techniques over the last 20 years. Since the pioneering study of May et al. (1998), the neuroimaging results have indeed revolutionized the conception of this disease, now considered as a dysfunction of the central nervous system. Clinical, neuroendocrinological, and neuroimaging studies strongly suggested the involvement of the hypothalamus as the generator of cluster headache attacks. However, the latency of the improvement and the inefficacy of the hypothalamic deep brain stimulation (DBS) in the acute phase suggested that the hypothalamus might play a modulating role, pointing to the presence of some dysfunctional brain networks, normalized or modulated by the DBS. Despite the great importance of possible dysfunctional hypothalamic networks in cluster headache pathophysiology, only quite recently the scientific community has begun to explore the functional connectivity of these circuits using resting-state functional magnetic resonance imaging. This is a neuroimaging technique extensively employed to investigate the functional connectivity among separated regions of the brain at rest in the low-frequency domain (< 0.1 Hz). Here, we present a review of the few resting-state functional magnetic resonance imaging studies investigating the hypothalamic network contributing to a deeper comprehension of this neurological disorder. These studies seem to demonstrate that both the hypothalamus and the diencephalic-mesencephalic junction regions might play an important role in the pathophysiology of CH. However, future studies are needed to confirm the results and to clarify if the observed dysfunctional networks are a specific neural fingerprint of the CH pathophysiology or an effect of the severe acute pain. It will be also crucial to clarify the neural pathways of the chronicization of this disorder. We are particularly grateful to Prof. Gennaro Bussone for his inspiring and continuous support. This work was supported by the Italian Ministry of Health, research grant RF-2016-02364909.